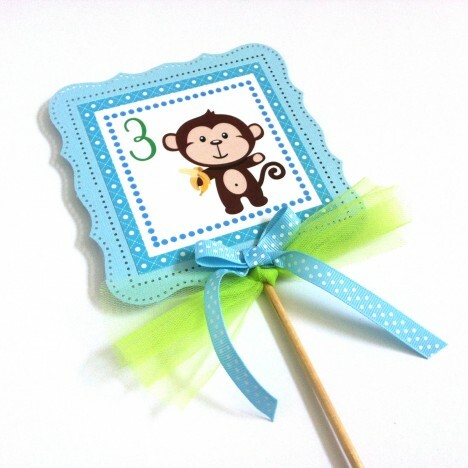 This is a listing for 3 (three) Monkey Party Centerpieces. Aren’t they just simply adorable? 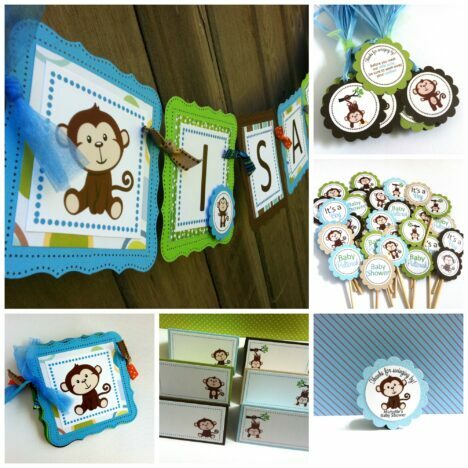 Let’s celebrate your cheeky monkey with an unforgettable party. 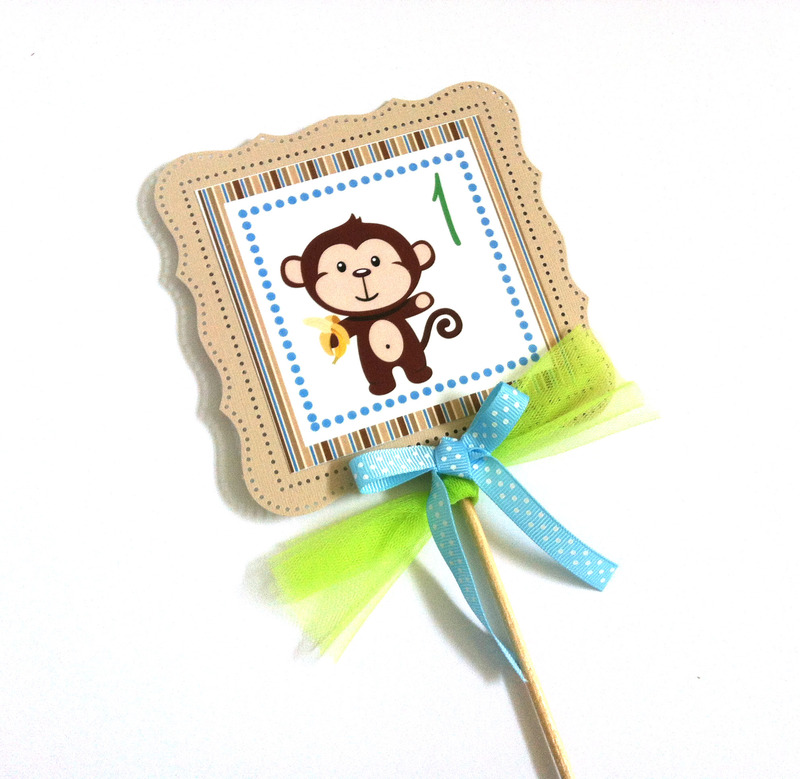 Who doesn’t love cute monkeys? 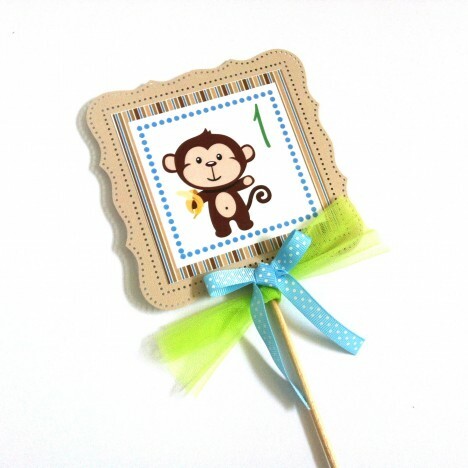 No wonder that Cute Monkey is one of the popular themes for kids birthday as well as baby shower. Why getting the same Monkeys when you can get variety of them? 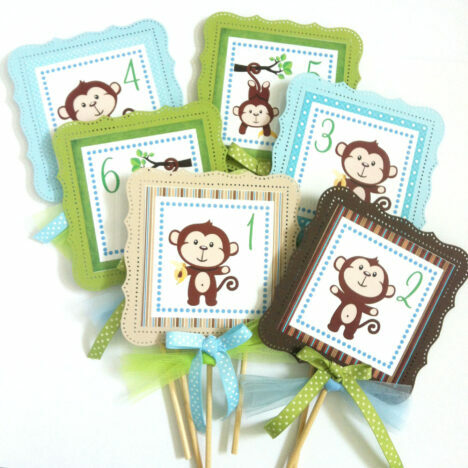 Each of these Monkey Party Centerpieces has different image. 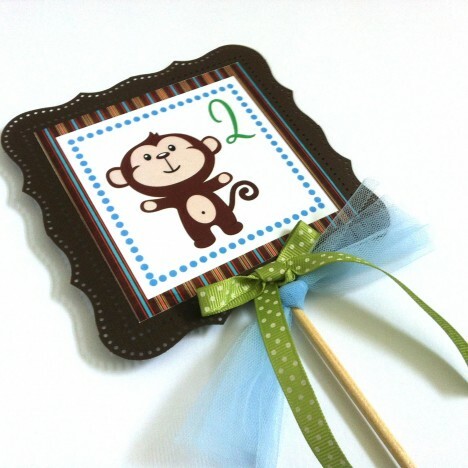 Each is individually made with beautiful border style. Shown here are centerpieces with 4 (four) different colors: blue, green, and two brown shades, light and dark. 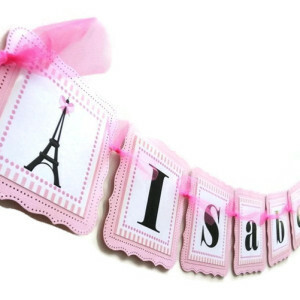 If you’d like different colors combination, please let us know. 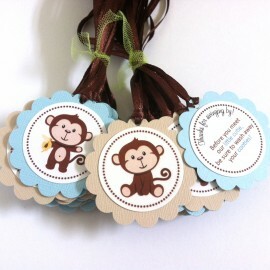 Furthermore, these Monkey Party Centerpieces are personalized for you. 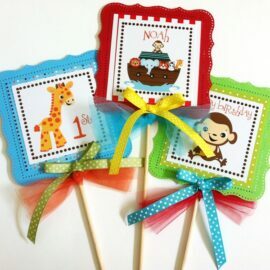 Each of these will have your own text. 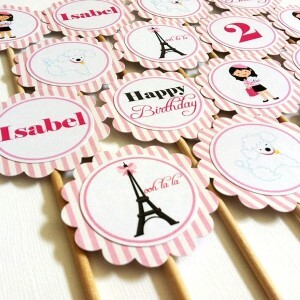 Shown here are examples of centerpieces with table numbers. 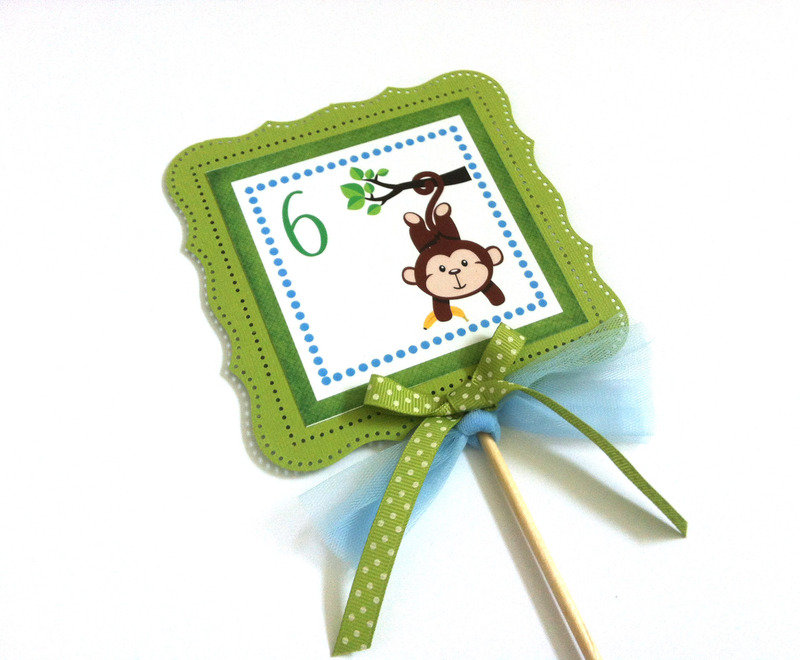 Our Monkey Party Centerpieces are made out of papers and wooden dowels, adorned with pretty ribbons and tulle. 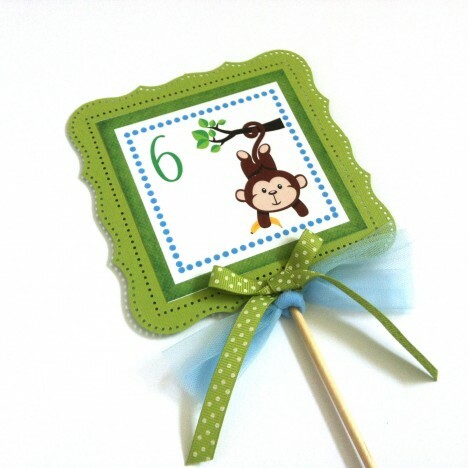 Each measures about 5 inches square. 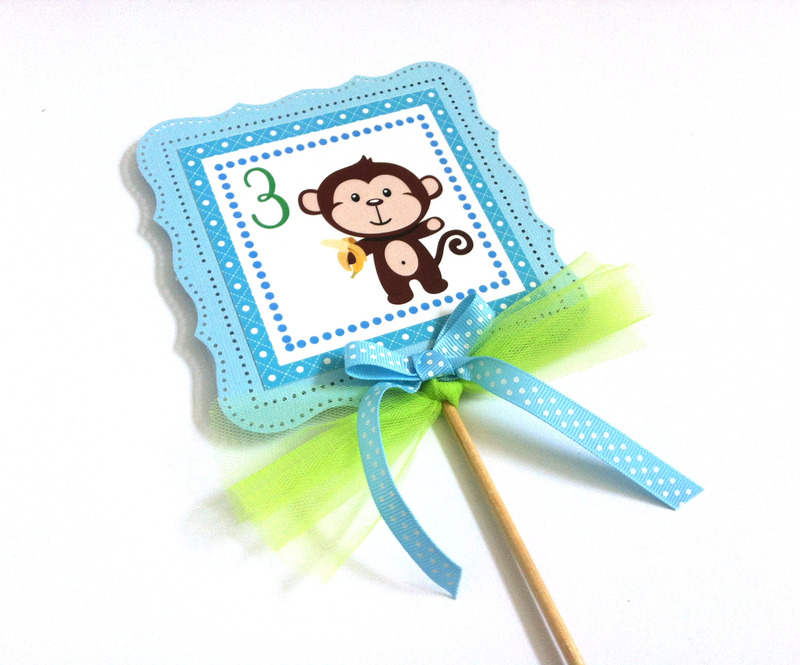 The wooden dowel is about 12 inches tall. 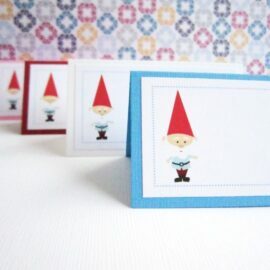 We use high quality cardstocks. Printing is done professionally. 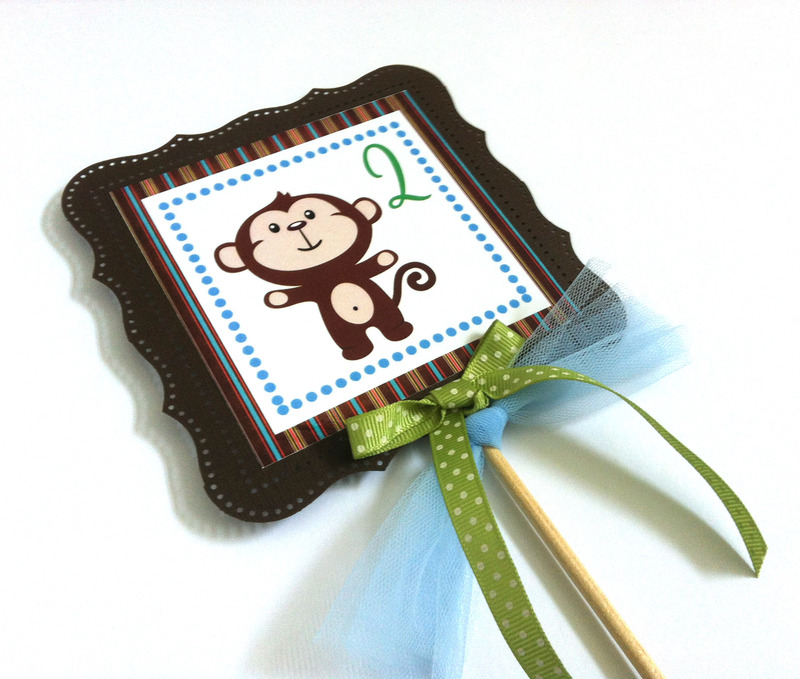 Are you looking for party decorations that compliment these Monkey Party Centerpieces? 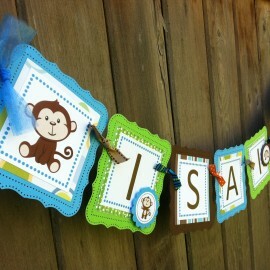 More pictures of matching items can be found on this Monkey Party Decorations album in my Facebook Page.